"GREAT FOOD GREAT PRICE GREAT ATMOSPHERE"
"Great food at a good price"
"We love this place, its our go to for Mexican food and the white queso is yummy"
"Food was hot and plentiful." "Friendly staff, great food, reasonable prices"
"Little Mexico has been my favorite Mexican restaurant for a little over 10 years now....I LOVE the green sauce "
"food was good, service was excellent and prices were great!!!" "The chile relleno with Mexican cheese topped with white queso is my favorite "
A dining patron from San Francisco, CA tried it. A diner from Longview, TX tried it and liked it. A diner from Longview, TX tried it. A Mexican food lover from Coudersport, PA tried it. A diner from Longview, TX tried it, liked it, and rated it . They liked the food, liked the service, and liked the ambiance. A Mexican chowhound from Longview, TX tried it. A diner from Marshall, TX tried it. A Mexican food lover from Longview, TX tried it, liked it, and rated it . They liked the food, liked the service, and liked the ambiance. A Mexican food lover from Hallsville, TX tried it. 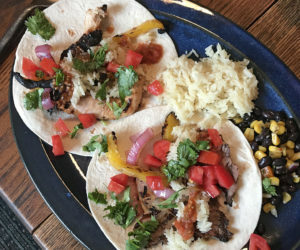 0 reviews of Little Mexico Restaurant, first by you? Do you own Little Mexico Restaurant? Contact us to connect with your diners. People found this by searching for: Little Mexico Menu Longview Tx, Little Mexico Longview,Tx Menu, Little Mexico Longview Tx, Lil Mexico Restaurant Longview, Little Mexico Longview Tx Menu, Little Mexico 75604, Little Mexico Longview Menu, and Little Mexico Restaurant Longview Tx.